The Licking homeschool group held their annual science fair on March 8. There were a total of eight projects presented at the fair. 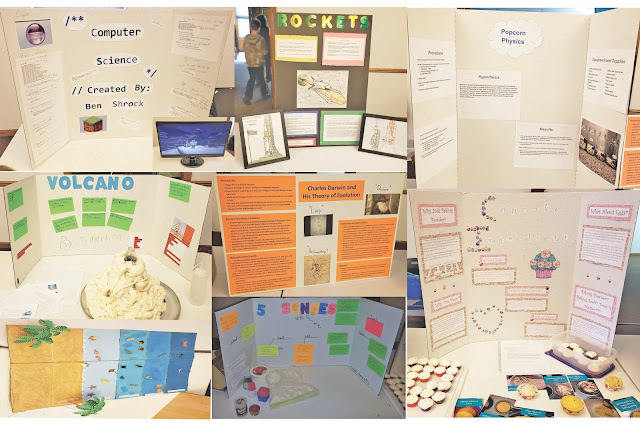 Projects included a volcano created from spray foam insulation; an ocean animals diorama; model rockets powered by Alka Seltzer and water; Charles Darwin and his theory of evolution; Popcorn physics, an experiment to determine the optimal method of popping popcorn based on soaking the kernels in water prior to popping; Cupcakes with missing ingredients; and exploring the senses with slime.